Thanks to a camera M15, located in front of the Town Hall Square, you can see every day the mascletà and follow the cream which will take place tomorrow. 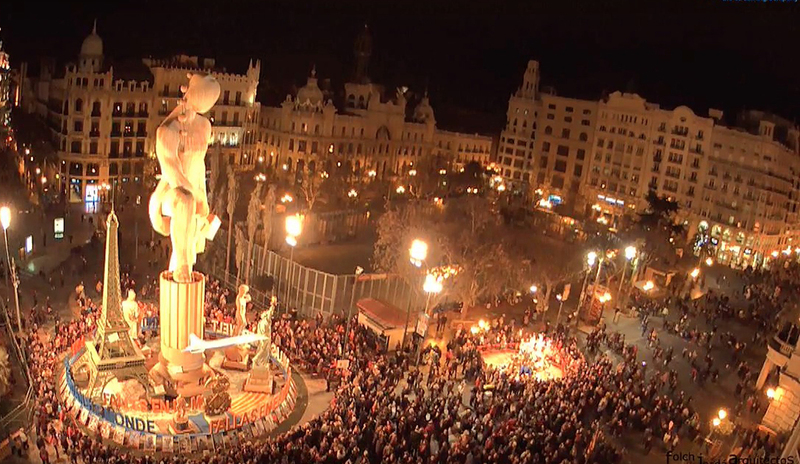 This year, the Fallas of Valencia will be live from anywhere in the world thanks to an initiative that they have carried out Mobotix, Wolk and Devisionnetwork. Juan Daroqui, director general of Wolkam and Devisionnetwork, has installed a M15 Mobotix camera front of the Valencia Town Hall square to see live every day the mascletà. A transmission that is underway 24 hours without interruption, without limits of traffic and users, and that will continue until the 19th of March which is when will be the cream of the fault. This project was made possible thanks to the platform's streaming, developed one hundred per cent by Wolkam, which integrates with Mobotix cameras to relay events and webcams. The M15 camera has dual-lens, thermal and day. This makes, in addition to the live broadcast, and thanks to the thermal lens, you can control what is happening and that there is no danger with pyrotechnics. You can see what happens inside the mascletà since thermal lens captures the temperature rises even from far distances and you can see through the smoke created by the explosion of gunpowder.